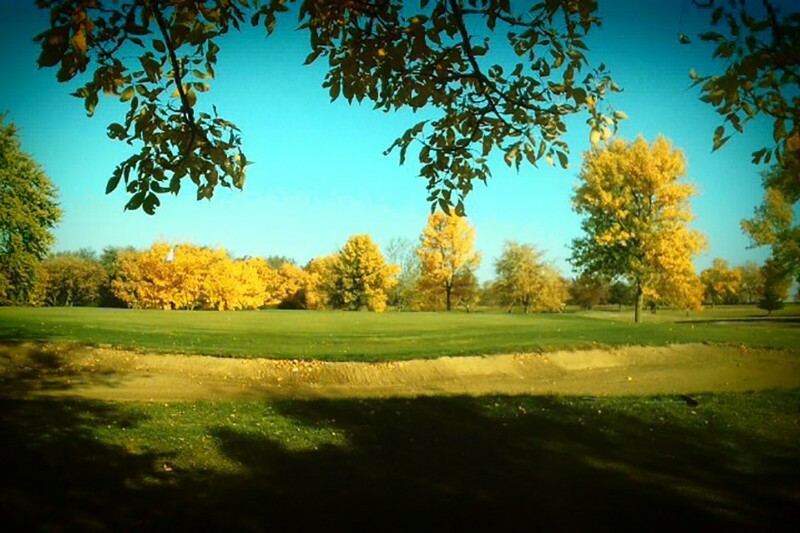 The Highland Golf Course is a municipal golf course operated by the Mason City Park & Recreation Board. The golf course is comprised of two very distinct nines. The front nine measures 2,950 yards and has small greens with tight, tree-lined fairways. The back nine measures 3,250 yards and has large greens with long and fairly open fairways. Both nines have automatic watering systems and some of the best putting surfaces in the area. The par for eighteen holes is 72 with total yardage of approximately 6,200 yards. Tee Times will be taken from April 15th through October 15th. You may make tee times only two days in advance. Ball rack will be enforced at all times other than weekends, holidays and Wednesday after 1:00 PM on the opposite nine of the Men’s Club. The ball rack is used for first come, first serve format. CLICK HERE for green fees and rentals. Highland also features many tournaments and outings each year. Bar & Grill – There is no better place to stop after a round of golf than Highland’s Bar & Grill. Serving cold beverages, hot dogs, burgers, chicken stripes and much more! Golf Shop – All merchandise products have been brought in from North Iowa Golf located in Mason City. Products offered: hats, gloves, balls, bags, clothing, and more! 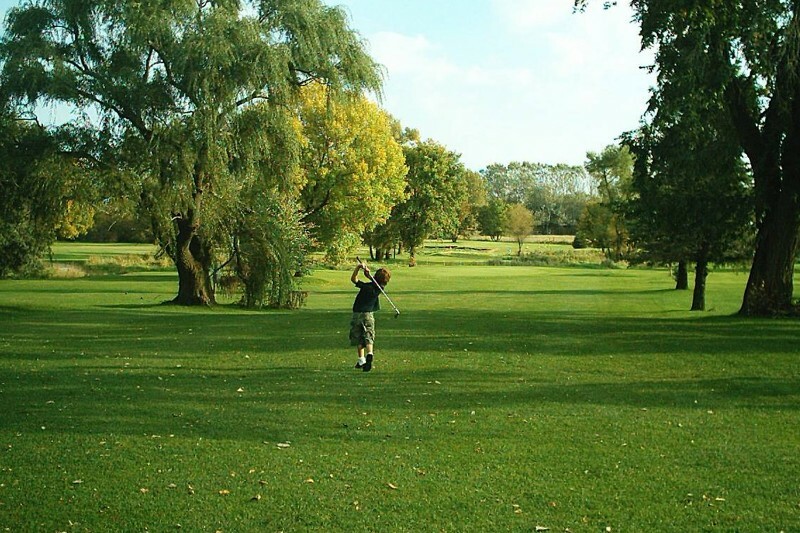 Practice Areas – Highland Park Golf Course offers many practice areas to improve your golf game! Highland Golf Course offers a full driving range maxing out at 275 yards; located in the back nine next to hole #15 tee box. 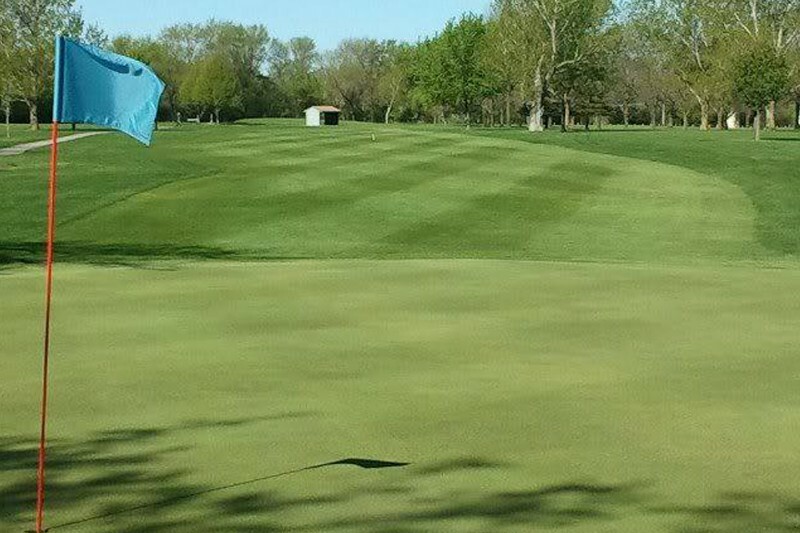 Our putting green offers 6 flags to putt or chip to; located just outside our clubhouse. For all practice areas, you must supply your own golf balls.